A Swiss company wants to vacuum the No. 1 climate killer from the air and turn it into limestone deep in the earth. 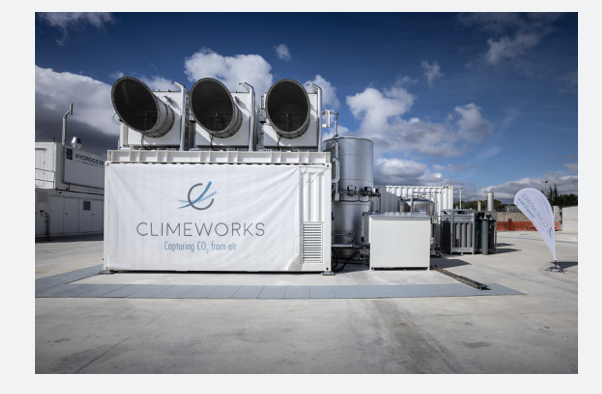 The Climeworks pilot plant in Iceland: the heat required to operate it comes from the Hellisheidi geothermal power plant.